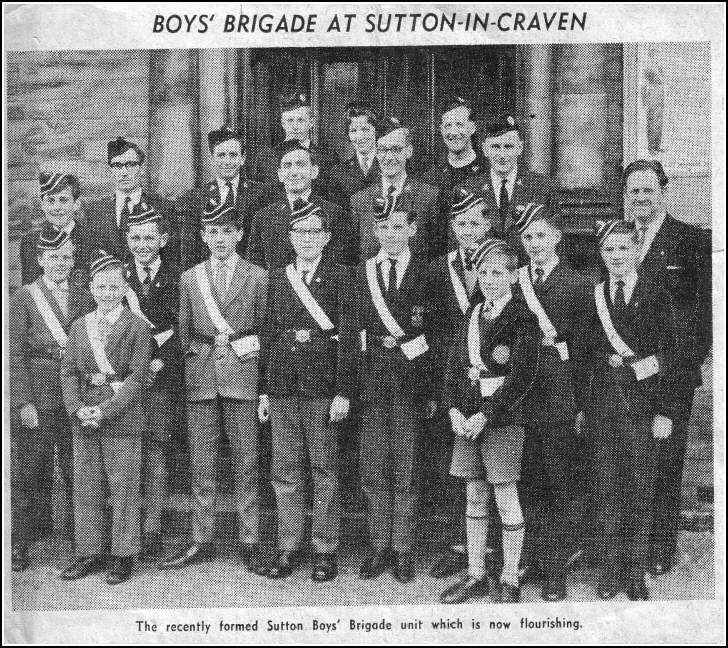 Andrew Monkhouse sent this photo and a newspaper clipping of the newly formed Sutton Boys' Brigade. 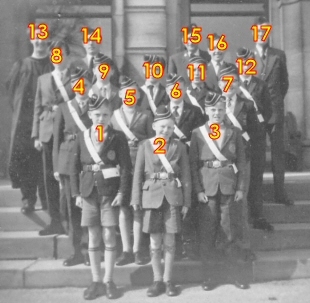 Melvyn Marchant provided names and the following information: These were both taken in 1963, the first one taken in about March on the front steps of the old Baptist Chapel after a service to mark the 1st Craven Boys' Brigade being officially recognised as a Boys' Brigade "Company". 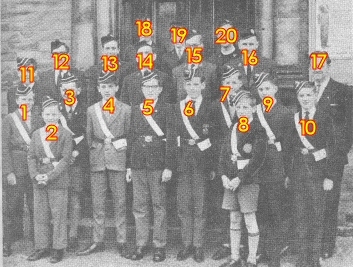 New companies had to maintain certain standards and attendances for a period of six months to be officially recognised at the Main HQ in London. 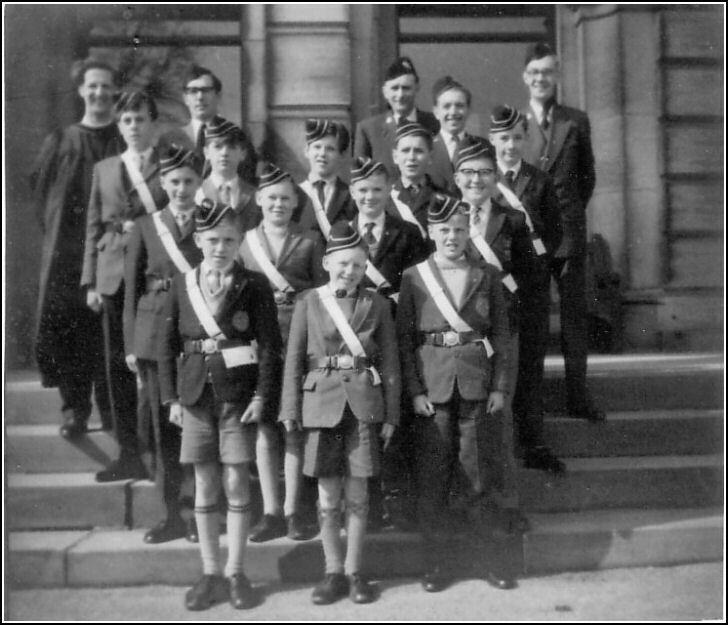 The second photograph was probably taken in May, on the occasion of our first annual display of local Boys' Brigade activities.